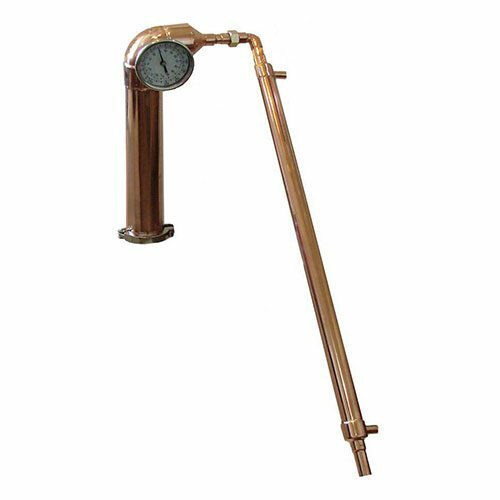 Copper tower has stainless steel reflux water jacket and condenser also has stainless ferrule on top with cap and stainless dial thermometer upgrade included. 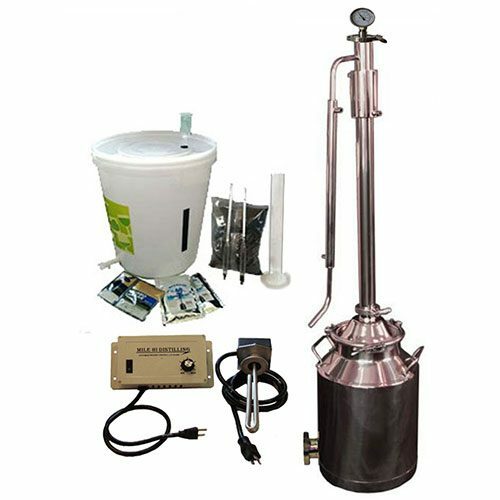 This is by far, one of our most popular still packages. It’s boiler size makes it easy to run up to 6.5-7 gallons of wash at a time. 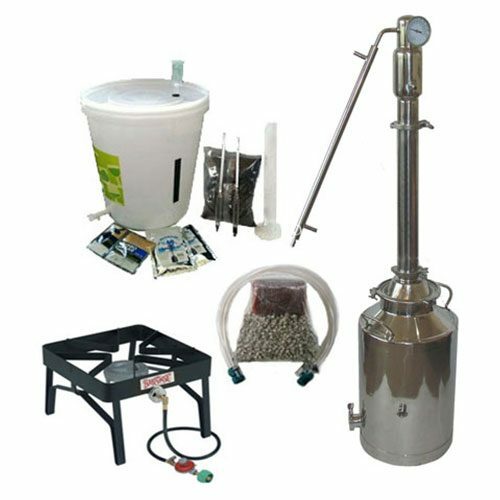 The tower versatility allows for both Pot stilling and Reflux stilling. This type of versatility makes it very popular and the copper stainless look adds the eye appeal. 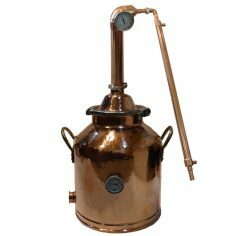 You wont be disappointed with this copper still. 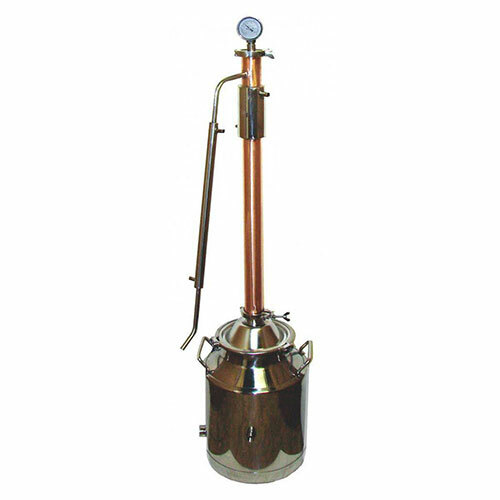 Premium 16-gauge 8 Gallon stainless Milk Can with copper 30″ dual purpose tower that has both reflux or just pot still. Unlike me it’s well built an good looking. An runs like the Swiss made it but it’s made in our great country by good hard working people like you an me.